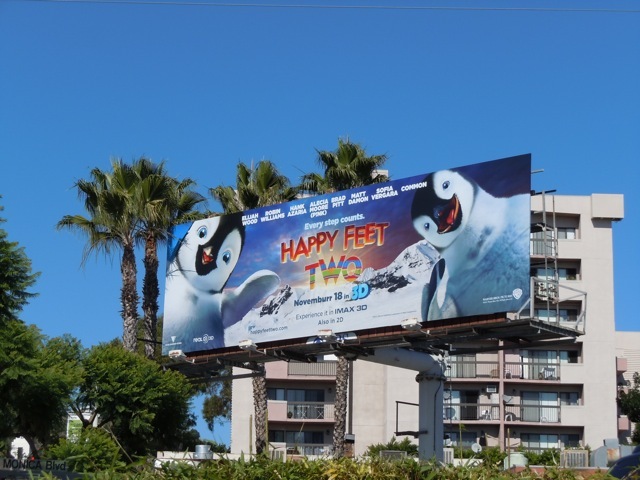 What Daily Billboard loves most about these ads for Happy Feet Two is that they are a whole lot of fun. 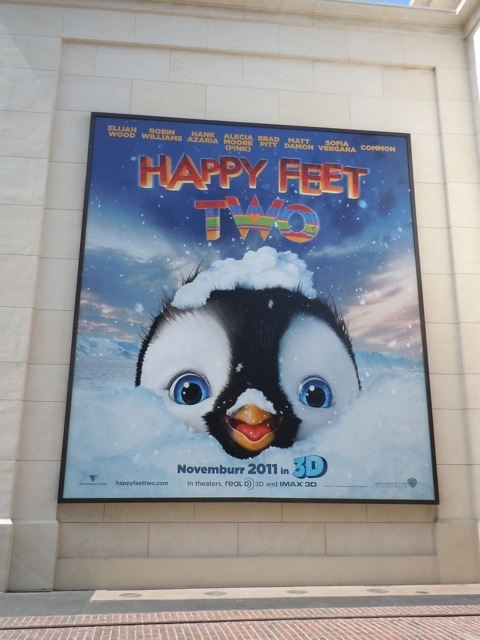 Let's face it, who can resist a cute baby penguin. 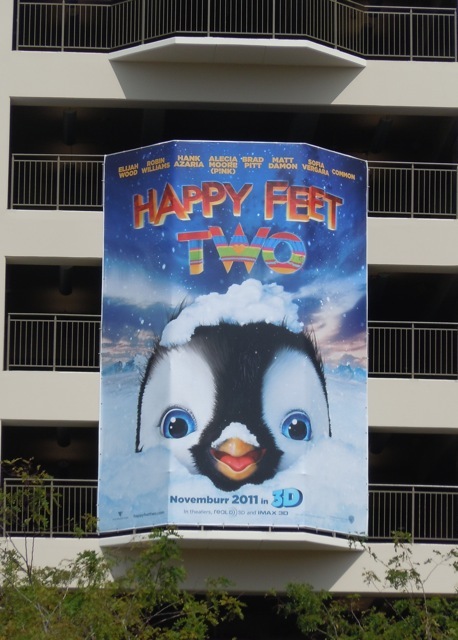 This sequel follows the antics of Mumble's son 'Erik' and his family in the world of the Emperor Penguins. 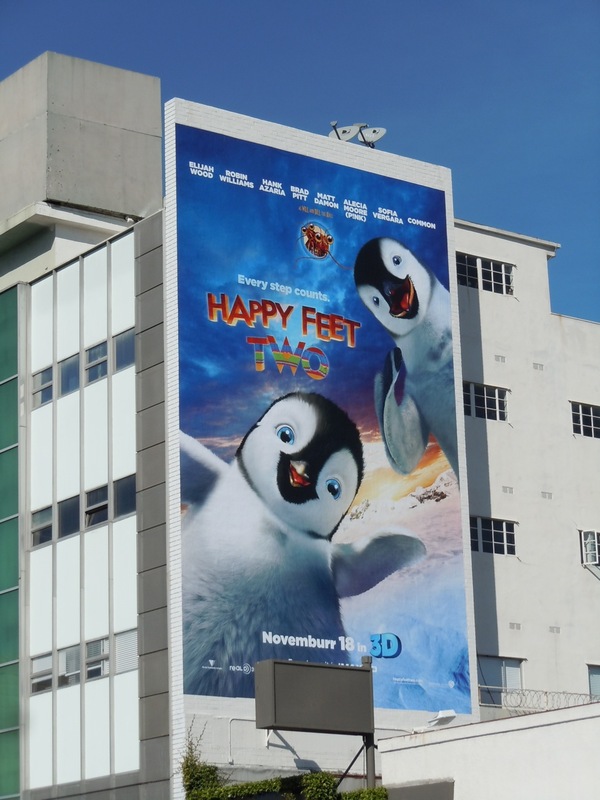 Aside from the cuteness factor of the imagery, the use of 'Novemburr' instead of the month of 'November' is a nice touch for this campaign too. 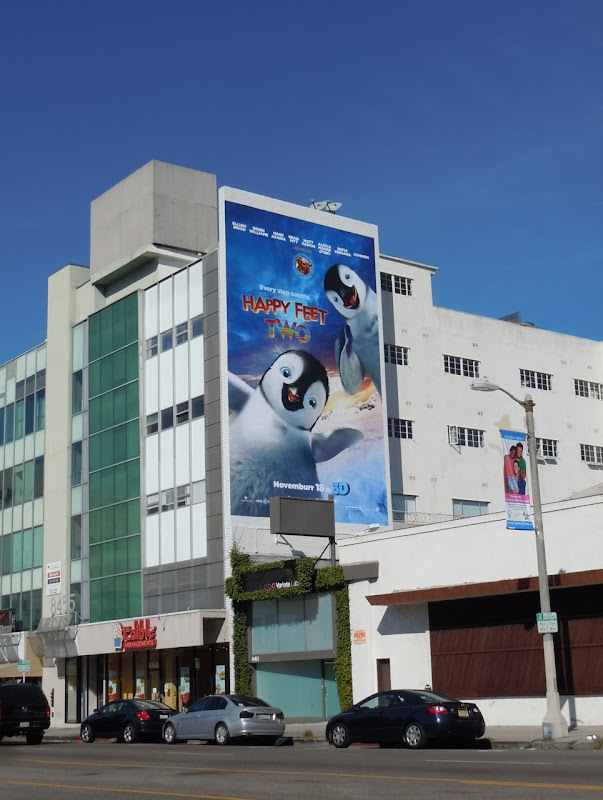 The 'Novemburr 2011' teaser billboards for Happy Feet Two were snapped at The Grove shopping centre on September 21 and actual release date versions captured along Santa Monica Boulevard and the extra-large version along Beverly Boulevard on October 28, 2011. 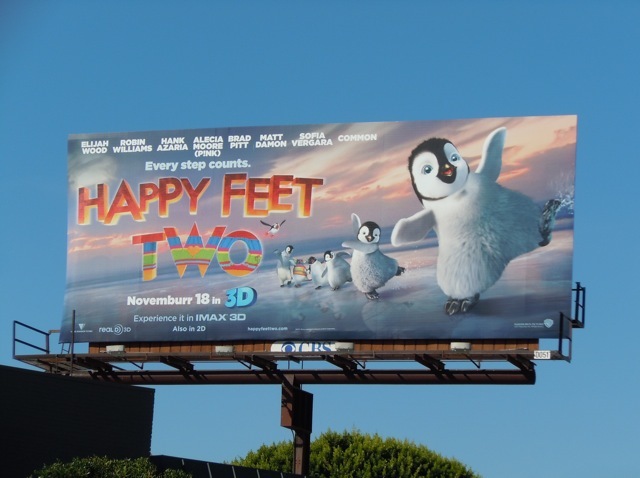 If you like these, be sure to check out more billboards for movie and TV animation here at Daily Billboard.